When Jubilee financial administrator Deb Love used to take her daughter to tennis coaching little did she know the sport would court her. Deb was inspired by her daughter’s 76-year-old tennis coach to take up tennis. And now she plays in Tennis Brisbane’s weekly evening competition, as well as with two groups of (predominantly) seniors on the weekends. 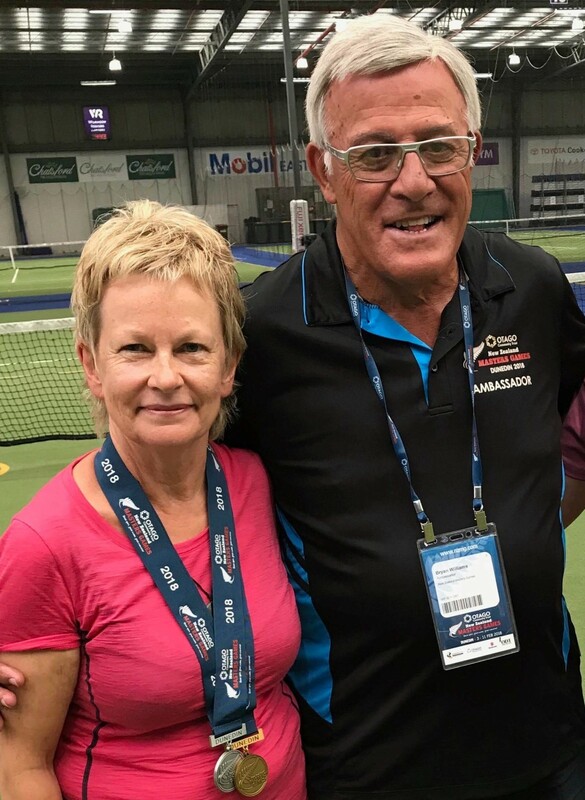 Deb was recently persuaded by a tennis friend to compete in the New Zealand Masters Games in Dunedin, where she won silver medals in the Women’s Over 55s singles and doubles events. Deb believes tennis keeps her focused on important contributors to healthy ageing: exercise, social connection and good nutrition. She hopes to keep playing for many years – even though she has to wear an increasing number of limb supports these days and attend regular physiotherapy sessions!